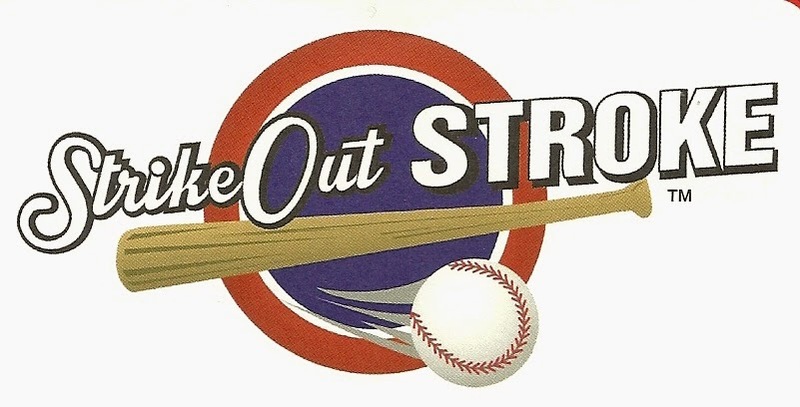 Starting with this posting I am going to include a one and a half minute video every week of our Strike Out Stroke(tm) event at major league baseball games. The following article is taken from the current issue of StrokeNet Newsletter. I urge you to visit this site as it contains many excellent articles pertaining to strokes and personal experiences of stroke survivors and caregivers. This article that addresses stroke terminology is authored by Jim Sinclair who is a member of the StrokeNet Newsletter staff. The New Year should be one of those occasions with which stroke survivors are most comfortable. It is a time to start anew, presenting new challenges and opportunities. It provides incentive to set new goals in which we resolve to be more the person we would like to be. For many stroke survivors, including me, one of the first major post stroke issues with which we are confronted is a feeling of loss of identity and a need to redefine who we are. The process of redefining ourselves can be fraught with confusion, anxiety and struggle. This process can be somewhat less complex if we function in a community in which we have a clear agreement and understanding of language and terminology used. I became aware of this quite some time ago when I was contacted by Stroke Network participant Phil Mickelson with regards to his concern over my use of the term stroke survivor. For some, such as Phil, the primary difficulty of the descriptor of stroke survivor is that it can lead some to assume that survival is enough in itself, when there needs to be a lot more to life than simply existing. At first I agreed with Phil that the term stroke survivor was lacking. Following a great deal of thought I came to realize that we need a better understanding of our stroke terminology. This is much more of an issue than simple semantics. Having a positive attitude and optimistic approach are important attributes for attaining a successful recovery. These attributes are far more likely to be exhibited in an environment where the language is expressed in positives rather than negatives. Having had to deal with speech issues of my own and being cognizant of and empathic towards stroke survivors, I generally try to not be critical or judgmental of things said by stroke survivors. I do on occasion try to correct statements made by survivors and others that include terminology that could be expressed in a more positive or beneficial manner. The term that most often leads me to interject with intent to change a statement made occurs when someone refers to themselves or someone else as a stroke victim. Within a great many communities including our stroke community this has somewhat of a disempowering connotation. When someone I am with uses that phrase I generally interject by saying “There are no stroke victims here; the stroke victims are those who died.” We survived something that kills a great many people. Being a Stroke Survivor implies an inner strength and ability which will empower us to deal with all those issues and difficulties that arise during our journey of recovery. It seems rather unfortunate that at during a journey of recovery; a process which requires a positive attitude and optimistic approach, much of the language is expressed in negative terms such as disability and nonabled. During a journey of recovery it would be of value to have language that emphasizes one’s abilities. One day last fall Malcolm McKenzie, Manager of Patient Care in the Neurorahabilitation Unit at Riverview Health Centre, related the story of a young man who upon being referred to as disabled retorted that he prefers to consider himself as being differently abled. Expressing language in positive terms such as this can promote more of a positive self-image as we proceed through the process of redefining who we are. As we progress through Neurorahabilitation our therapists employ terms that focus upon our abilities. Typically our actions are described as being with two assists, being with 1 assist, being with one standby, and ultimately, we hope, unassisted. When we are discharged back into the community, our mobility tends to be described as being unassisted or with the assistance of some form of aide such as a cane, walker or wheelchair. Being assisted places the emphasis on the ability that exists. Somehow once back in the community the tendency is for the language usage to be more negative; there is greater use of the terms disabled, nonabled, Walker dependent, Wheelchair dependent and Wheelchair bound. In the first few weeks following my strokes as I struggled to cope with the physical damage and cognitive confusion resultant from the strokes, I had the good fortune to have had a neurologist who kept emphasizing that a full recovery was possible. At the time, while I was rather unclear exactly what that meant; I presumed that things would return to the way they were prestrike. The statement was expressed in such a way as to instill within me a confidence and belief that everything was going to be okay and that I would get through all the challenges ahead of me. When this positiveness was reinforced by the support of a hospital roommate who was a longtime stroke survivor I had a positive solid base upon which to begin a successful journey of recovery. Knowing how truly blessed I have been in my recovery and having an all consuming sense of gratitude to those survivors who helped me along with my progress I have spent much of my time the past five years trying to provide similar positive supports to other recent stroke survivors. I find that in my role as a Stroke Survivor Peer support Volunteer in hospitals in Winnipeg, Manitoba and Mesa, Arizona being very clear about the terminology I use seems to be very beneficial for achieving my goals. Over the past five plus years I have had the great privilege to have spent one to one time with over 500 stroke patients in hospitals (mostly in Neurorahabilitation ) and have made presentations to groups involving hundreds more. While I keep my focus on the specific unique situation of each patient I do most often try to accentuate a few general things. I try to get survivors to think in terms of possibilities and that while there are no guarantees anything is possible. I would like everyone to believe that having survived an event that kills a great many people demonstrates a strength and ability which will enable them to do what needs to be done to attain a full recovery and that a full recovery refers to attaining a quality of life which is meaningful and satisfying in whatever terms they choose. As a Stroke Survivor Peer Support Volunteer (peer Counselor) the greatest compliment that a stroke patient can give me is their saying “You’ve given me hope” when all I’ve done is help promote optimism and having a positive attitude with respect to possibilities. Life is a journey ...and sometimes there are unexplained and unpredictable changes. Some of the changes are immediate and others require a new beginning. Recovery from a stroke (or living with a stroke survivor) requires courage, patience, love, and support from family, friends, and the community. 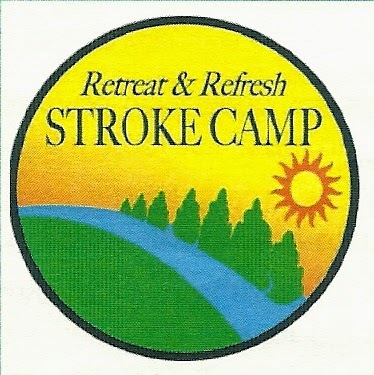 Retreat & Refresh Stroke Camp strives to offer an enjoyable and fun-filled weekend with other stroke survivors, caregivers, and family members with the emphasis on education, socialization, relaxation, and support. Welcome to the Retreat & Refresh family! We hope you and your family member(s) will visit our website often as you travel the ever-challenging post-stroke journey. The Retreat & Refresh Stroke Camp website provides information and resources offering a better understanding of stroke while helping survivors move forward and begin anew. And much more that will provide a greater understanding of stroke and its continuous challenges. Online visitors will find value in this website . Also, be sure to visit www.strikeoutstroke.com for stroke awareness events at major league and minor league baseball games near you. Okay, I missed the date for this due to back-to-back: death in the family, Christmas, and New Year. but go here anyway to see what it was all about. I think you'll find it worth your while. What are some of the clinical applications of music to help those with Parkinson's disease, Alzheimer's disease and stroke? Children with developmental delays?